24V DC 6.5A 150W Switching Power Supply is for universal AC input transforming with high efficiency. It can protect itself from short circuit, overload and overvoltage, and due to its reliable performance it can be widely applied in the industrial area. 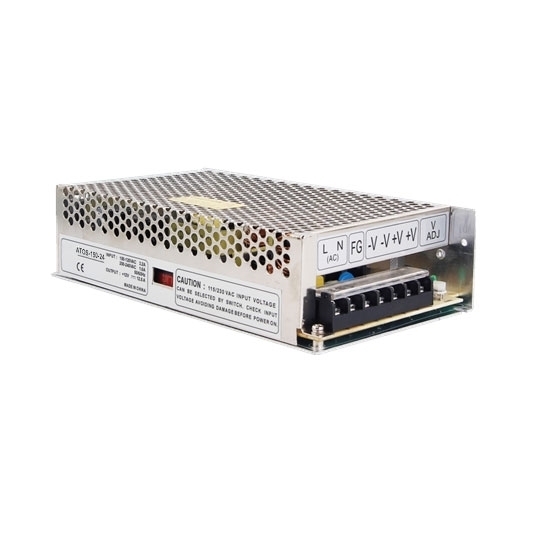 Low price switching power supply with high efficiency and high reliability transforms the full range of AC input to a stable DC voltage of 24V at the rated power of 200W and rated current of 8.3A, so it is widely used in almost all of the electronic equipment. 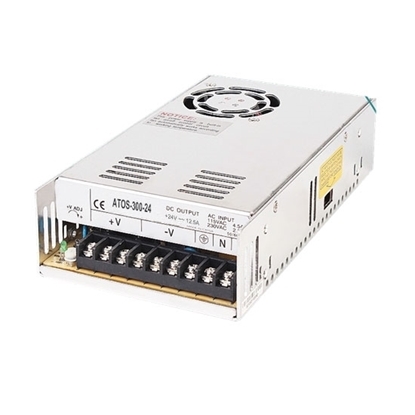 24V DC Switching Power Supply has dual input voltage selection of 110V/220V AC by switch. SMPS is PWM design, overload and overvoltage protection to make sure its safety in use and high stability, so it is widely used in all kinds of areas. Favorable price and high quality switching power supply features 24V DC output voltage, 12.5A rated current and 300W rated power. 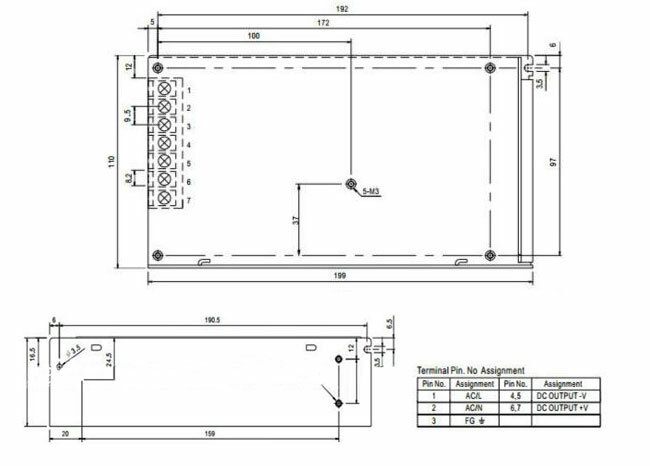 It is PWM design to ensure the stability of output voltage, widely used in almost all of the electronic equipment. 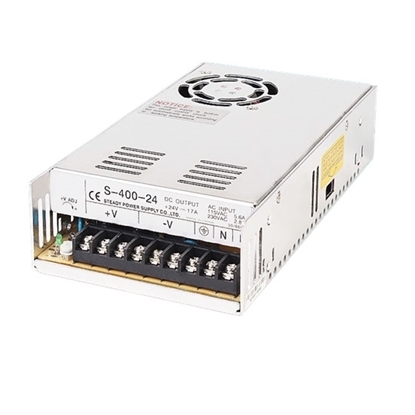 400W Switching Power Supply output voltage is 24V DC, transforming from univeral AC input. It is high performance and low price with wide applications in the industry like drilling machine, air compressor, solar system, wind power generation ect. Tips: How to deal with interrupted DC output of switching power supply when protective tube works properly? This condition means the switching power supply doesn’t work and remains in protection state. Firstly, users need measure whether there is starting voltage at power control chip. If there is no starting voltage or the starting voltage stays low, users need to check whether the starting resistance and relevant components leak electricity. If power control chip works properly, problems can be cleared quickly after going through foresaid inspections. If there is starting voltage, users need to confirm whether there are jumping between high and low levels of the output terminal at the moment of starting up by measuring the control chip. If there is no jumping, that means the control chip works properly. Then, users shall check peripheral oscillating circuits or protective circuit by changing the control chip and then checking peripheral components. If there is jumping, that means the problem is caused by poorly-operating or damaged switch tube.